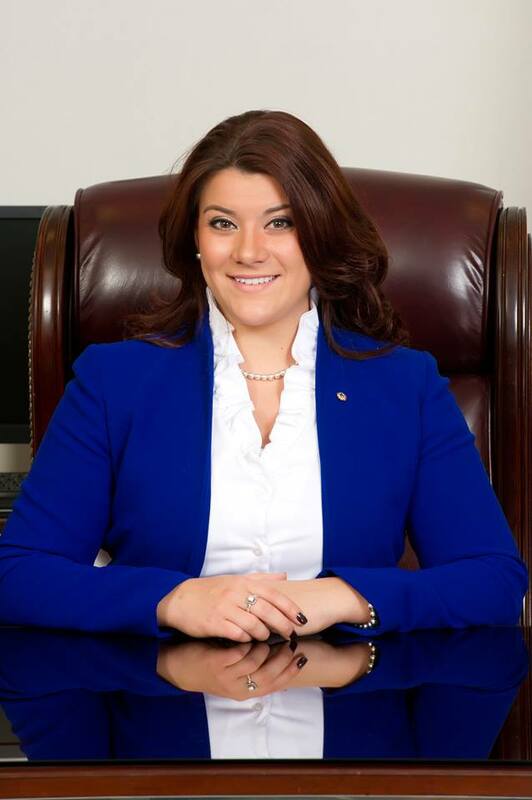 NEW BRITAIN — Last month, when Mayor Erin Stewart first heard that the state’s Republican chairman, Jerry Labriola Jr., had called her, she was quite surprised. After fewer than 100 days in office as the city’s second female mayor, the 26-year-old city native will be one of three people honored in April at the 36th annual dinner, which is named for former President George W. Bush’s grandfather, who was also a senator from Connecticut. Former Florida Gov. Jeb Bush — George W. Bush’s brother and a possible candidate for president in 2016 — will be on the same dais as Stewart and other high-level officials. He will be the keynote speaker. Labriola told the Herald that Stewart was picked for the honor “because she is a rising star in the party who has accomplished so much in a relatively short period of time. She is well deserving of this award. This speaks to her body of work from her teenage days and her community involvement in the city to becoming mayor of the Hardware City.” The event is the biggest fundraiser for the state GOP. Labriola said the event is expected to raise more than $300,000 for the party. Stewart, daughter of former Republican Mayor Timothy T. Stewart, was 16 years old when she was appointed commissioner to the Youth and Family Services Commission; was the first female president of the Central Connecticut State University College Republicans; and was elected vice president of the Connecticut Union of College Republicans, a statewide group. Stewart, who met former Secretary of State Henry Kissinger when she was a staffer in 2006 for then-U.S. Rep. Nancy Johnson, said she plans to talk to Bush about family if she gets time to do so. “Everybody has a story to tell,” Stewart said. “I would like to talk to him about family dynamics. I’m sure we can find something in common. I’d probably also talk to him about things that are not political. I’d ask him what he does for fun and how he relaxes and maybe what the best advice he could give me is.” Stewart said she is “really excited and humbled” to be getting the honor. This article was originally published in the New Britain Herald.